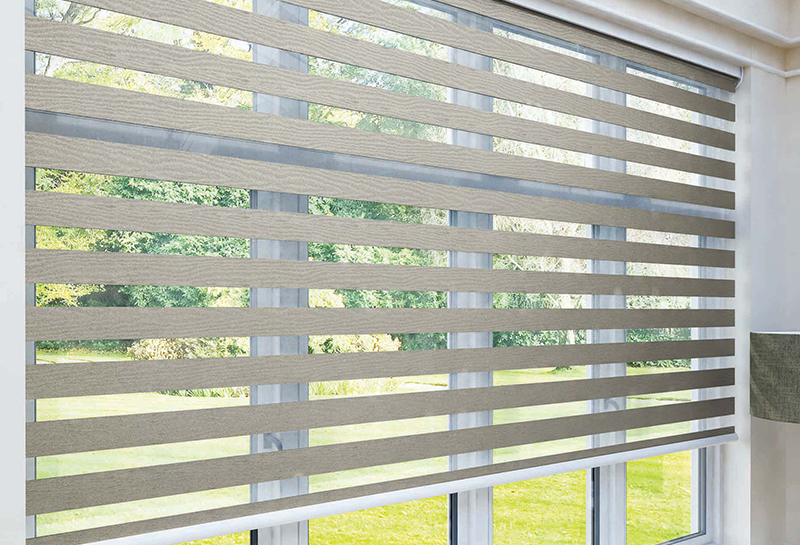 The Vision blind is an innovative new window featuring two layers of translucent and opaque horizontal striped fabric that effortlessly slide past each other providing flexibility in shading and a real statement feature at any window. 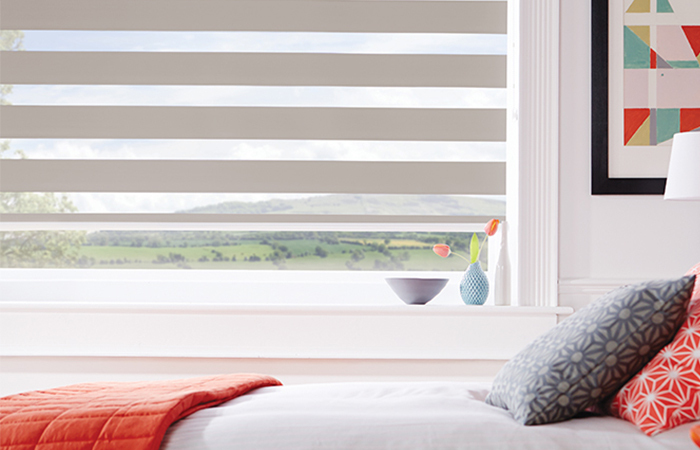 The blind can be raised and lowered just like a roller blind giving you the option of full privacy or a clear view of the outside! 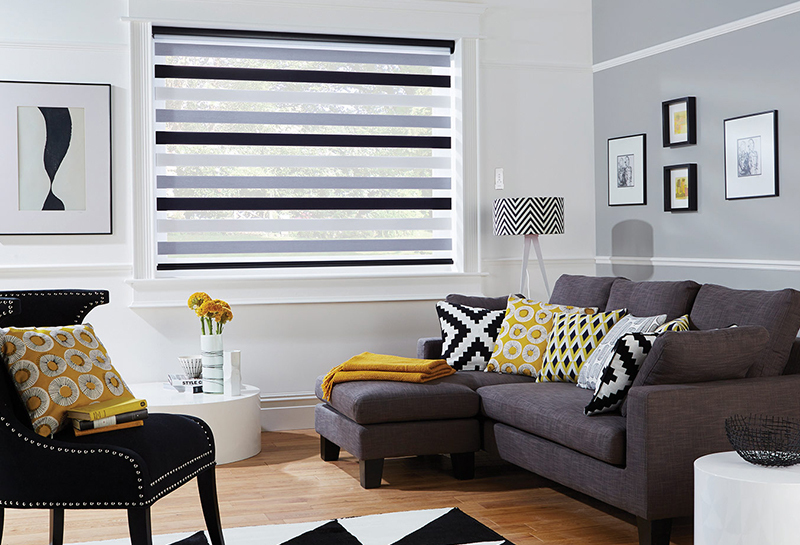 There is a stunning collection of fabrics, including textureas and tones, subtle metallic shimmers and blackout options, making these perfect for any home. 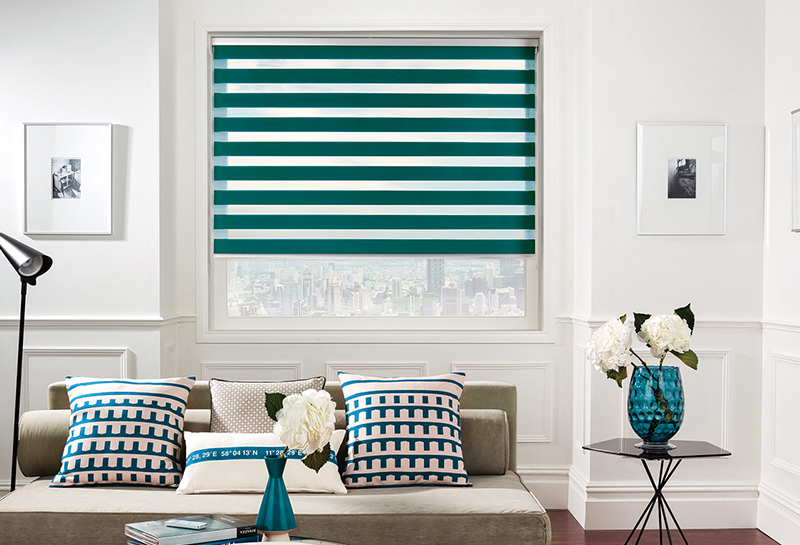 Or why no try creating more of a feature and bespoke look with a choice of headrail cassettes and bottom bars – you can go with coordinating or contrasting.